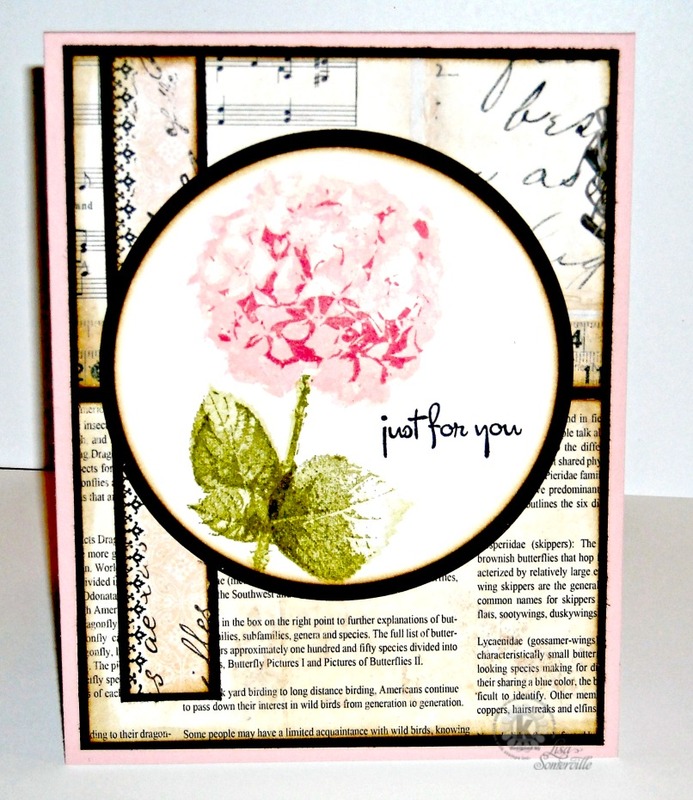 Designs by Lisa Somerville: Just for You - KSS One Day 30% off Sale! Just for You - KSS One Day 30% off Sale! Happy Kitchen Sink Stamps Monday! Today only, Kitchen Sink Stamps is running a 30% off sale on all stamps (in stock only). Simply click this link and the discount will automatically appear in your cart, or if you prefer, head over to the KSS Store and use code LABOR30LISA. 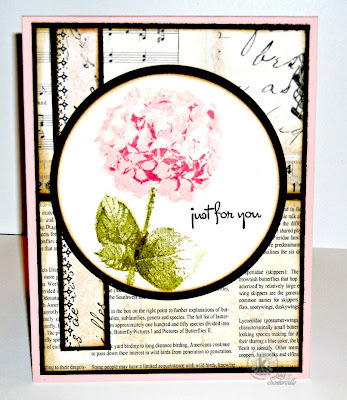 The beautiful Hydrangea is stamped on Vanilla card stock and die cut with a Spellbinders Circle Die, layered on a Black Circle. The pattern papers are from Prima. If you are reading this post at a later time, and missed the sale, you can Click here to save 10% on all your KSS purchases, the discount will automatically be applied to your cart. Gorgeous hydrangea, Lisa! And lovely card! Fab! Love how you make these stamps shout out.